On 18 April 2014, an avalanche ripped through the base camp of Mount Everest killing 16 Nepalese Sherpa guides. The accident, the most deadly in the mountain’s history, triggered an unprecedented boycott among the Sherpas, who refused to return to the mountain for the rest of the climbing season. The Sherpas demanded better compensation and life insurance, and a relief fund for injured guides be set up funded by the climbers fees. Emergency talks began when Nepal’s tourism minister Bhim Acharya landed by helicopter at Base Camp, where hundreds of Sherpas were waiting. Two years on and some of the Sherpa demands remain unmet. Last year, the climbing season was cancelled again following the devastating earthquake, which killed up to 9,000 people and displaced over half a million. This year, Sherpas are planning for the upcoming climbing season that begins in April, but communities remain frustrated by the government’s response. Some climbers are staying away out of respect for the dead, others for fear of the mountain, which is more perilous to climb as a result of overcrowding and climate change. 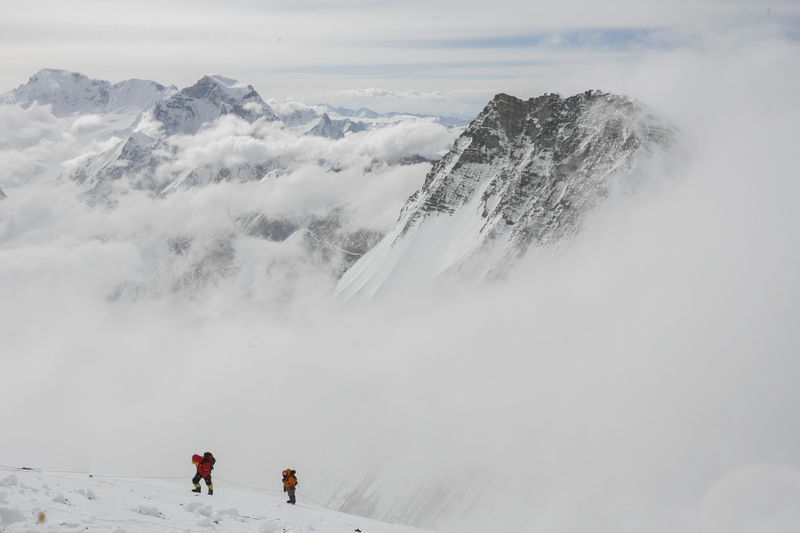 A new Bafta-nominated documentary, Sherpa, by Australian director Jennifer Peedom, has put the Sherpas plight back in the spotlight. Following the infamous 2013 brawl on Everest, where European climbers fled a mob of angry Sherpas and which subsequently went viral, Peedom set out to document its aftermath. She and her crew arrived in April 2014 to make a film about the growing tensions between Sherpas and foreign climbers, which have risen from a gross disparity in wealth, power and values on the mountain. Sherpas are paid US$3,000 – US$8,000 over the two month climbing season, a salary that must last the whole year, while foreign climbers will spend up to US$100,000 on a summit expedition. Sherpas also carry a disproportionate burden of risk on the climb. 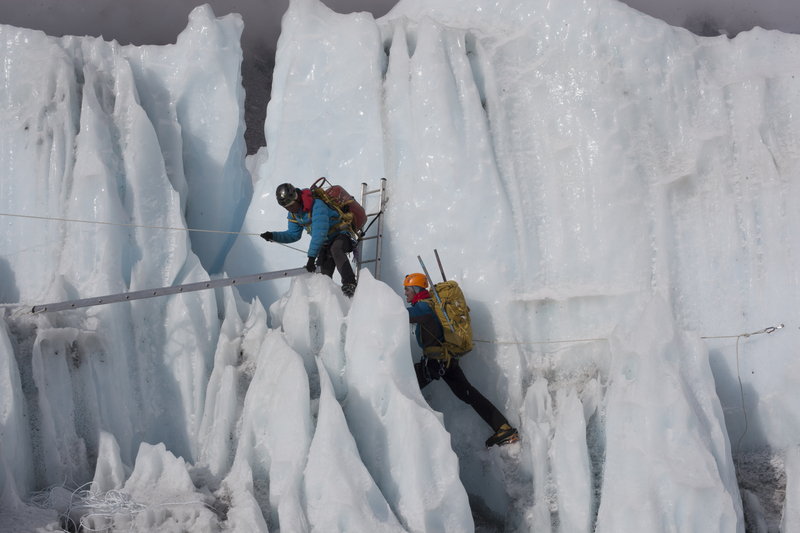 A paying climber will pass through the treacherous Khumbu icefall as few as four times, whereas Sherpa guides might make 30 or 40 journeys, carrying loads of oxygen, tents, food, water and fuel to the higher camps. When the fatal avalanche unexpectedly struck midway through filming, Peedom knew “the spark had been lit”. However, the idea for the documentary had first been hatched a decade before when Peedom was working as camera operator. 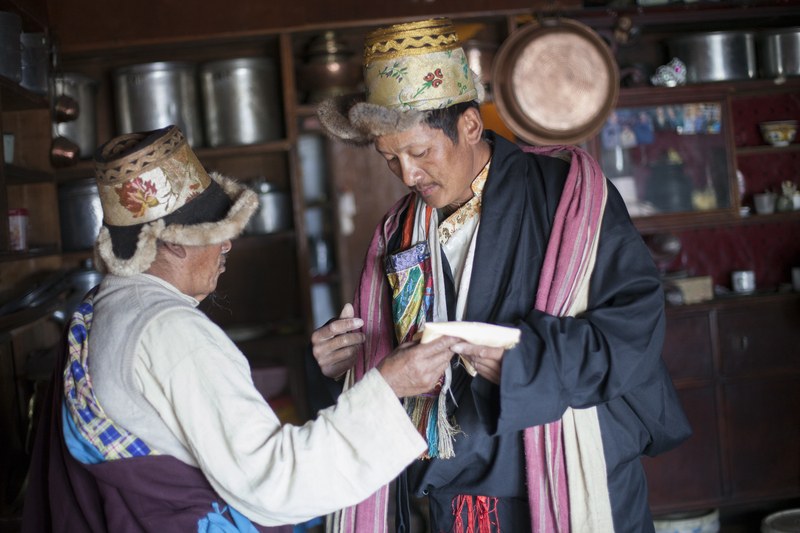 “On that first trip, I remember being moved by the Sherpa story and wondering just how they stomached this idea of having to observe this often very grotesque behaviour by foreigners, from a spiritual point of view but also a power perspective,” the director told chinadialogue. 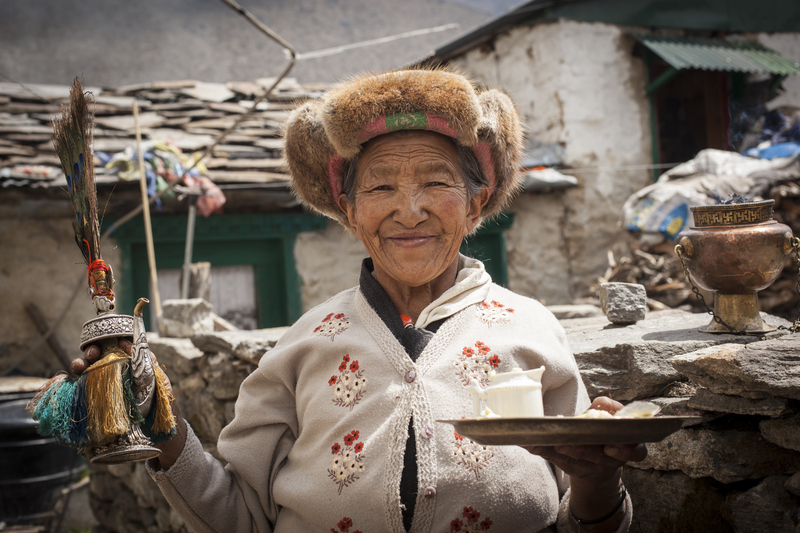 Sherpas are devout Buddhists and consider many Himalayan mountains sacred. According to some reports, the 2013 brawl broke out when foreigners touched guide ropes covered in prayer flags. In the years since, social media has brought about a new self-awareness within the Sherpa community. 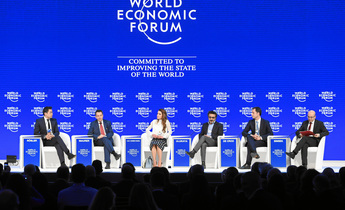 Facebook has allowed Sherpa communities to see how foreign climbers live at home, how much they paid per expedition and observe the adulation they received following summit – a feat that would be impossible without a team of Sherpas carrying the kit, setting up tents and feeding the group. Social media also allowed Peedom to develop closer friendships with the Sherpas who invited her to film in their villages. Most notably, Sherpa Phurba Tashi. Tashi has climbed the mountain 22 times but despite being one of the world’s most well-respected and high-altitude climbers, he is penniless. Since the avalanche, he has honoured a promise to his family not to go higher than base camp. This decision not to climb is never made lightly as tourism is often the main source of income for Sherpa families. Ang Phurba Sherpa, a 47-year-old, has reached the summit of Everest five times and led many climbing expeditions. His first summit attempt was in 1990 when he was just 20. 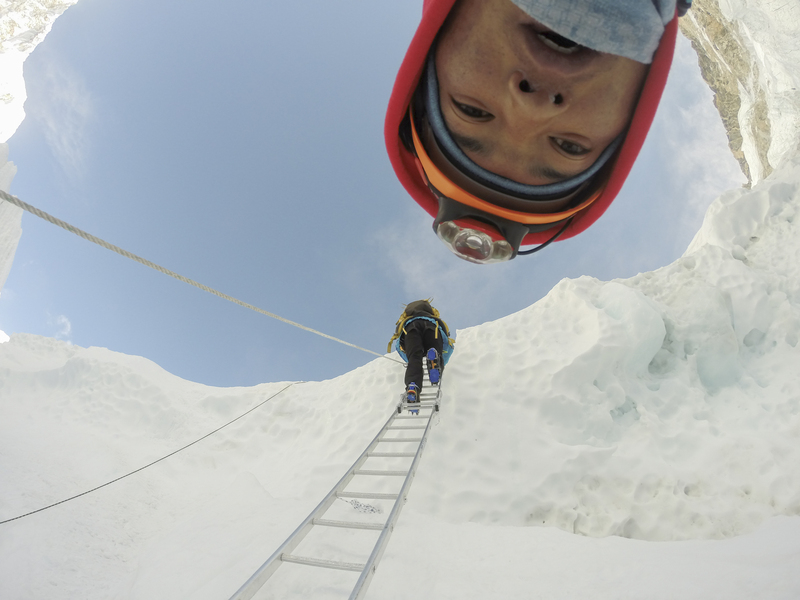 “Climbing has become profession for many Sherpas but it’s not all about money only,” Phurba Sherpa told thethirdpole.net. “We also feel that Sherpas need more recognition and they shouldn’t be just treated as engines or vehicles to conquer the mountains but should be duly credited for their role,” he said. In the commercial era, overcrowding on Everest has led to ‘human traffic jams’ at 25,000 feet (7,620 metres). Experts say the sheer numbers exacerbate the already substantial dangers of climbing. Purna Sherpa, 38 year-old, climbed the Everest in 2010 and 2011 and has taken part in many other expeditions. “Facilities [and equipment] must be improved, which is definitely an issue that has to be discussed widely,” said Purna Sherpa. Safety concerns have become more acute in the face of climate change, which is making mountains in the region riskier to climb. Scientists have connected the growing pattern of increasing avalanches and ice falls on Everest with global warming, an issue which Peedom raises in the film. “The avalanche was climate related. There have been more accidents at base camp in the last two years than ever before. These concerns have led to a discussion about whether base camp should be moved higher up the mountain. But this raises a different set of environmental concerns about pollution on Everest, which currently has no fixed structures on the south side” said the director. The speed of glacier melt in the Himalayas has been fiercely debated. In 2007, the Intergovernmental Panel on Climate Change (IPCC) fourth assessment report, erroneously reported that Himalayan glaciers could disappear as early as 2035. However, new research published by the European Geosciences Union(EGU) journal last year, showed that the 99% of glaciers on the Mount Everest region will disappear by the end of the century. Older members of the Sherpa community have been advocating climate action for some time. 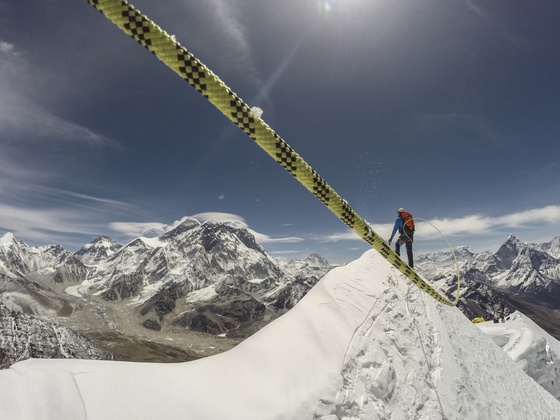 “Climbing Everest has been harder because of unpredictability of weather and melting of ice. For instance, most climbers returning in May see many bare rocks with less ice now, which many say wasn’t the case more than a decade ago,” said Purna Sherpa. “Preparation for the climbing season in coming April is underway but fear is high,” he said. Purna says the earthquake has caused dangerous changes to the landscape and moved large blocks of ice, increasing the risk of avalanches. Before the avalanche, there was no provision for government compensation for Sherpas hired by international expeditions to carry gear. This year, they have greater protections but there is still as long way to go. 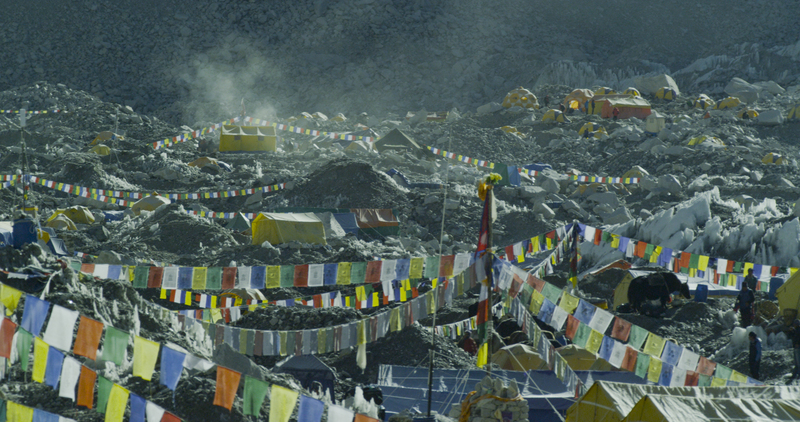 SHERPA is nominated for Best Documentary BAFTA and will broadcast globally on Discovery Channel in 2016 sherpafilm.com. All photos are stills from the film. Phurba Tashi’s mother. He has promised his family he will not climb Everest again. Thank you for this thoughtful, informative article.